In Tuzla, Bosnia-Herzegovina, a forty-year-old thermal power plant is missing filters for desulphurization and other pollution control instruments. Ashes containing heavy metals are disposed openly and contaminate air, soil and water. The burden for health of the local population is huge, causing tens of millions in additional expenditure in the health system. This painful example makes it clear that many years of various action plans and transposition of EU legislation on energy and environment did not make a difference on the ground. To be sure that rules are enforced, societies need to establish rule of law and functioning state institutions. Development depends on governance and democratic control of authorities and their independence from commercial interests of corporations. The efforts to win the green transition have to be related to this broader context. At the same time, however, the political will of leading decision makers is often lacking. According to Mirjana Jovanović of the NGO Belgrade Open School, coal remains a central pillar in the long-term vision for the Serbian energy supply; the Serbian government even convened in an open pit lignite mine as a PR stunt to support coal industry. Significant subsidies for fossil industries are in place. In such a situation a Green energy transition cannot just be imposed from outside, as Aleksandar Macura of the Serbian think tank RES Foundation underlined. European policy instruments and institutions like the European Energy Community and its Secretariat in Vienna could not replace national development strategies. Transition efforts need public and political support in the respective countries, so education and information campaigns on climate change and economic opportunities of decarbonization need to remain a priority. Looking to Germany, Poland or Greece it becomes clear that this is not an issue of Western Balkan or Eastern European countries alone. It requires also holistic approaches taking into account social consequences for regions and towns most affected by such changes in the structure of the economy. What is the point of the European Energy Community? It is worthwhile to recall the context in which the European Energy Community was set up back in 2005. After the terribly bloody disintegration of former Yugoslavia, its mission to facilitate energy security and social stability was very much seen as a tool to re-build mutual trust, solidarity and peace in the region. Listening to the rhetoric of current nationalist political elites in the Western Balkans one might conclude that a lot remains to be done in this respect. The good news is that the transition towards a sustainable energy system has so much to offer for this purpose. First, energy reforms are about human rights and livelihood. Introducing clean energy enable local communities to engage in energy supply on their own. In addition, investments into efficiency help fight widespread energy poverty. The energy transition can contribute to improving quality of life, social stability and economic perspectives for the region, reducing the welfare gap between the EU and its neighbours. Second, regional cooperation in the electricity sector would bring economic benefits for the involved countries of around 270 million Euros annually, says Janez Kopač, head of the Energy Community Secretariat in Vienna. National markets alone are too small to balance demand peaks and fluctuations in generation from renewables and to maintain reserve capacities in a cost efficient way. Market integration within the region and with EU countries will create benefits and pave the way for further integration. What can the EU do to support the transition? The Energy Community Treaty is actually an extremely important tool and mechanism for partnership with the Balkans and Ukraine. Without the Energy Community and the work of its Secretariat most member countries’ energy sectors would be weaker and certainly no less carbon intensive. As Iryna Holovko from the Ukrainian NGO Ecoaction confirmed in her presentation on progress of energy sector reforms, in case of Ukraine the Energy Community treaty in line with the EU association agreement were the most important drivers of energy sector reforms. Technical and legal support from the Secretariat is highly competent. However, the role of the Energy Community is limited. On the one hand, it has little influence on the internal factors in the member countries with regard to rule of law issues and public support. On the other hand, it depends on the EU to set the right conditions for its work and on the commitment of the EU and its member countries to give the energy transition agenda the necessary political weight in the relations with the respective partner countries. In contrast, the European Commission and the member states have a broader range of instruments to engage with governments and societies to foster good governance and to support activities conducive to the transition agenda on the level of communities, businesses, education, and civil society. But also within the framework of the Energy Community Treaty, the European Commission as the key party to the Treaty needs to act more proactively. The Treaty requires new tools to ensure implementation of rules and compliance with the related acquis. Instruments of other branches of the Commission such as the Directorate General for Neighbourhood and Enlargement Negotiations (DG NEAR) should be more closely linked to progress in the implementation of the Energy Community agenda. Furthermore, the European Commission should do more to close the legal gap between the EU countries and the Energy Community. Without making more parts of the acquis mandatory also for the Energy Community countries there are no effective incentives to phase out dirty and carbon intensive generation capacities. The Commission should push for a full-scale inclusion of the Clean Energy for All Europeans Package into the Energy Community Treaty. As a first step, the Coal Regions in Transition Platform and its funding instruments can be opened for the partner countries in order to promote discussion about a just transition. This would send strong messages to those governments and investors that plan new fossil capacities. Supporting energy efficiency should remain a top priority of EU’s technical and financial support mechanisms. Potential is huge: efficiency strengthens competitiveness, reduces fuel costs and negative externalities from generation. 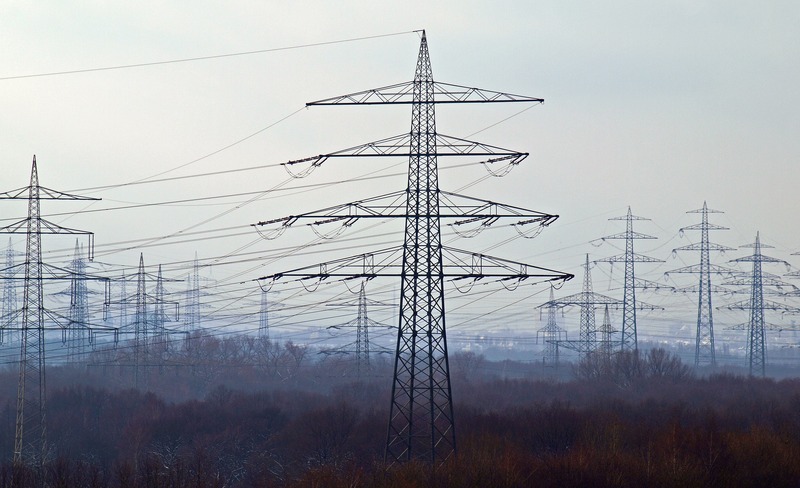 While the EU offers significant support to interconnectivity of grids and markets, it must be careful that the infrastructure does not serve the export interests of particular fossil or nuclear companies thus impeding the transition towards more sustainable energies. This is the case for example with the planned transmission line from the Ukrainian Nuclear Power Plant Khmelnytskyi to Poland. In order to strengthen local development and to create higher acceptance for renewables, the EU should encourage citizen energy projects. In addition, the EU can pressure countries to establish more reliable framework conditions and set up financial instruments to encourage investments in renewable energy. A rapid expansion of renewables is needed to replace old, polluting coal power plants with their devastating effects on health and environment. The EU holds the key to presenting viable alternatives quickly and helping the Balkans and Ukraine on their transition path. Robert Sperfeld is Senior Program Officer for Eastern and Southeastern Europe at the Heinrich Böll Foundation in Berlin.